Native Instruments sent me this announcement that they're giving away their Driver Distortion Filter plugin and 5 Remix Sets for their Traktor users. They also sent a $30 voucher code for use in their web store. This offer is good until Dec. 31, 2012. 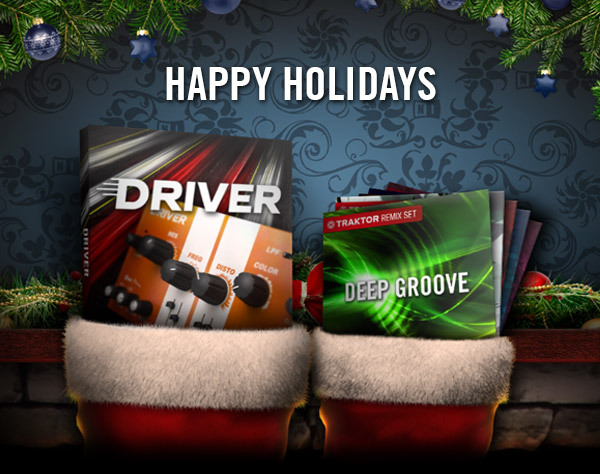 Happy Holidays from Native Instruments! Two incredible free gifts are our thanks to you for your support this year. 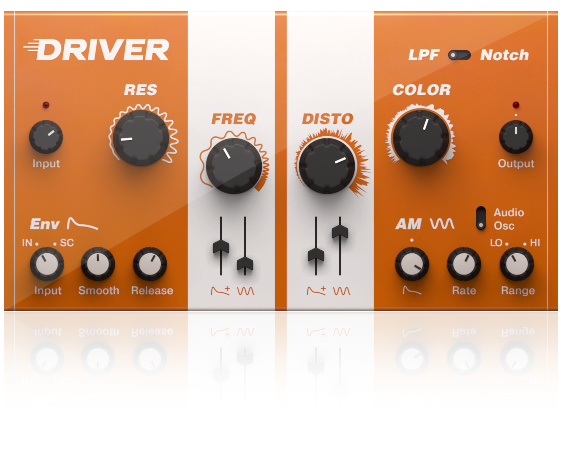 DRIVER is a screaming filter distortion effect for adding anything from movement to mayhem – works stand-alone in any DAW, and integrates perfectly with MASCHINE. DJs get five floor-filling Remix Sets for TRAKTOR’s Remix Decks. And we’re also giving you a $30 / 25 € voucher, valid on software* at the NI Online Shop until December 31, 2012. Get your holiday gifts today! Any track, any genre – use DRIVER to add character, then twist it into complete sonic annihilation at the turn of a dial. Free until December 31, and available as a $49 / 49 € KOMPLETE effect in early 2013. These five Remix Sets spice up DJ mixes and live performances in any genre. Get the sound of two of our most successful MASCHINE Expansions, some deep house loops, a selection of Latin and Indian percussion, and an exclusive set by Berlin beatsmith Comfort Fit. *The e-voucher is valid for all software titles at the NI Online Shop except KOMPLETE 8 and KOMPLETE 8 ULTIMATE. These special offers are valid until December 31, 2012. These special offer products are not for resale.